men and women ages 18 and older struggling with substance abuse. Services include education classes on a variety of topics, group counseling, and individual counseling. 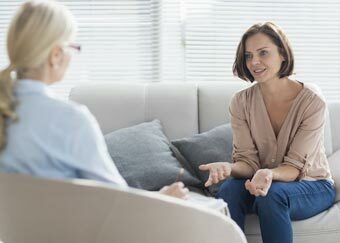 Synergy Counseling Center offers individualized packages to meet each client’s unique treatment needs. 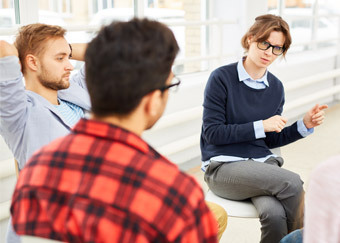 DBT skills class utilizes a combination of psychoeducation, personal reflection, discussion, open sharing, and feedback to provide clients with opportunities to learn and explore the four key skills of Dialectical Behavior Therapy: Distress Tolerance, Mindfulness, Emotional Regulation, and Interpersonal Effectiveness. These skills can help manage overwhelming emotions by strengthening clients’ ability to handle distress without losing control or acting destructively and to better regulate their emotional responses. Group materials consist of Dialectical Behavior Therapy online resources by Marsha Linehan; The Dialectical Behavior Therapy Skills Workbook by McKay, Wood, & Brantley; and Out of Control: A DBT–CBT Workbook for Getting Control of Our Emotions and Emotion-Driven Behavior by Melanie Gordon Sheets. This class is designed to help clients learn and apply tools for establishing and nurturing interpersonal relationships that support positive growth — as individuals as well as with partners, family, peers, etc.Materials used include The Relationship Workbook by Kerry Moles, along with academic and pragmatic writings and activities linked to the exploration of healthy interaction and boundaries, respect, honesty, realistic expectations, effective communication, goal-setting, and trust. Additional themes include autonomy, shared power, tenderness, time, long term commitment, and forgiveness. Materials are processed within a recovery theme that focuses on empowerment and placing one’s own wellness as a top priority, as opposed to the codependent patterns often embedded with substance abuse and dependence. The pursuit of happiness…a different approach to treatment. Based on the work of Dr. Martin Seligman, PhD, this course explores the benefits of practicing positive psychology and how that practice can lead to a more rewarding life. The solution focused class will include topics such as how to identify and build on personal strengths, how to increase positive emotions and improve relationships, the healing power of gratitude, and the theory of well being. Group members will be able to understand the five components of creating happiness and be able to add each of those components in their own lives. Parents will learn how to protect their children from conflict, effective co-parent communication, family problem solving strategies, how to establish new family routines, and skills in recognizing and responding to children’s reactions to the separation. This course is an excellent fit for highly conflicted custody disputes and for parents who are anxious to be exceptionally equipped to assist their children as an individual and a co-parenting team. This class consists on providing clients with a variety of positive strategies to be utilized in times of stress and struggle. General information is provided about stress and its impact. Clients are presented with a new skill each week. Information is provided on the effectiveness of the skill, the way to practice it, and then clients are provided with time and guidance as they practice utilizing the newly learned skill in class. Clients have the opportunity to process how the skill may fit into their lives. Topics covered could include breathing techniques, exercise, meditation, nutrition, visualization, assertiveness training, and applied relaxation training. This group guides clients through the process of learning about self esteem and engaging in interactive, experiential activities that will help boost feelings of self worth and improve self image. Class offers cognitive techniques for addressing one’s self-critical voice, responding well to criticism, fostering compassion for self and others, and assists in setting and achieving goals that will enrich one’s life. Education is provided on grief and loss. The Kubler Ross model is incorporated in teaching the five (5) stages of grief. Clients look at different types of loss and learn skills and tools for moving through the grief process.. Reactions to grief are normalized, and clients are introduced to support resources in the community . This 12-week group draws on empirically-based strategies to help clients recognize shame as a universal experience and embrace authentic living as a foundation for shame resilience. Topics include defining shame; practicing empathy; exploring triggers and vulnerabilities; practicing critical awareness; reaching out to others; and creating, embracing, and inspiring change. “Connections” engages clients on a cognitive, behavioral, and interpersonal level. Clients learn via group and personal exercises, handouts, and reading assignments. 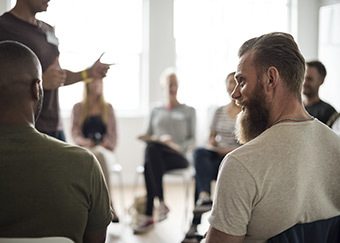 Using an integrative approach of CBT, DBT, and ACT, the Mindfulness for Addiction class focuses on helping to identify the root of addictive behaviors while providing healthy coping strategies to deal with stress, anxiety and depression that can come from experiencing a loss. Using Mindfulness exercises and lifestyle tips as well as the workbook by Rebecca E Williams, PhD and Julie S Kraft, MA, the facilitator will help you learn to cope with grief, stress and anger that can trigger addictive behaviors. This class addresses how addiction and mental illness interact. 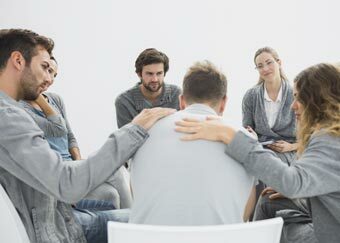 Clients will gain knowledge about co-occurring disorders and begin to understand how mental illness can contribute to addiction or how addiction can contribute to mental illness. Clients will also learn how drugs and alcohol change brain chemistry and what to expect during their time in recovery. Clients can expect to learn about common co-occurring disorders including depression, anxiety, mood disorders, and post-traumatic stress disorder. Materials used in this curriculum include evidenced-based literature formatted for clients, condensed inventories for self-assessment, expressive arts activities, and interactive discussion focused on exploring self and linking peer experiences. Involvement in 12 Step Programs has been shown to significantly improve outcomes for people in treatment. 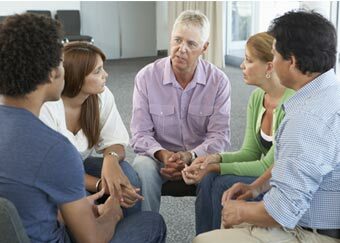 Facilitated by an instructor with years of experience in 12 Step Programs, and using evidence-based Twelve Step Facilitation curriculum, this group will include an introduction to the history of AA and other 12 Step Programs, guidance and encouragement regarding seeking out and attending 12 Step meetings, and education on the basic components of recovery including acceptance, surrender, and getting active in the fellowship. TSF is designed to address multiple dimensions of one’s life, concentrating on social, behavioral, cognitive, and spiritual aspects so that clients may experience a full, rewarding, and sustainable recovery program. 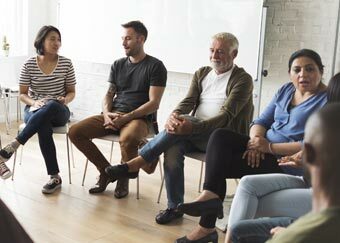 Matrix Intensive Outpatient Treatment, published by U.S. Department of Health and Human Services, is a matrix-model, evidenced-based curriculum that offers a structured approach for treating adults who abuse substances. The model incorporates several elements, including relapse prevention, cognitive-behavioral interventions, psycho-education, family approaches, and 12-step program support. Clients receive information, assistance in structuring a substance-free lifestyle, and support to achieve and maintain abstinence from drugs and alcohol. The matrix method familiarizes clients with 12-step programs and support groups and teaches time management and scheduling. Clients focus on skills needed in recovery, identify their triggers, and become proactive in preparing for high-risk situations so as to prevent relapse. This is an open–ended class that clients may begin at any point and incorporates supplemental material and handouts from the SMART recovery program. Helping Women Recover is an evidence-based class for treating addiction by Stephanie Covington. This is an experiential workbook-driven class that integrates clients’ recovery from chemical dependence with their recovery from past trauma. This is a gender-responsive, trauma-informed curriculum which includes four modules. The modules cover Self, Relationships, Sexuality, and Spirituality. Over 17 weeks, the women participate in group discussions and activities, listen to lectures, and complete homework assignments to explore each of the four modules. Helping Men Recover, by Stephanie Covington and Dan Griffin, is a gender-responsive, trauma-informed treatment class for men. This model provides a clear understanding of the impact of male socialization on the recovery process, a consideration of the relational needs of men, and a focus on the issues of abuse and trauma. The participant’s workbook allows men to process and record their therapeutic experience. Over 18 weeks, men participate in group discussions and activities organized into four modules that emphasize the core areas of men’s recovery: self, relationships, sexuality, and spirituality. Anger management is designed to teach clients coping skills to manage their anger. This group focuses on identifying the primary emotions (such as sadness, rejection, disappointment, etc.) associated with anger. The group works on identifying situations that create intense feelings of anger and explores ways to cope with those situations in a healthier manner. This is a safe place for clients to relate to peers who are also experiencing anger while in recovery. The group curriculum is based on the SAMHSA Cognitive Behavioral Anger Management Workbook, with supplemental material incorporated as well.